Malcolm Bird Alan Dart - Malcolm Bird's illustrations have appeared in numerous magazines and newspapers, and he has designed various greeting cards, comic strips, and books. Regular commissions have included three comic strips - MADGE AND BERYL for Jackie, LUCY'S LOT for Prima, THE WRIGHTS for Woman's Weekly magazines and, currently, IN STITCHES for Simply Knitting magazine.He wrote and illustrated THE WITCH'S HANDBOOK, THE STICKY CHILD and THE SCHOOL IN MURKY WOOD. 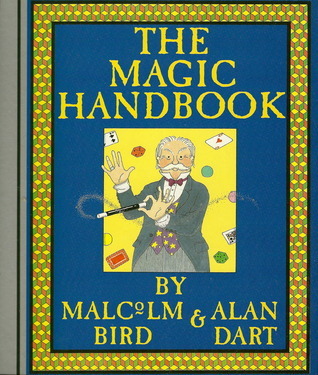 He also illustrated the series of books written by Alan Dart - THE CHRISTMAS HANDBOOK, THE PARTY HANDBOOK and THE MAGIC HANDBOOK. Co-creator, with Alan Dart, of THE PIGGLES™, a trio of pigs living in Pigglemere, a village (not unlike Grasmere) in Cumbria in the English Lake District. They are Squiggle, his twin sister Wriggle and their baby brother Giggle. Their first appearance was in Woman's Weekly as toys, for which Alan supplied the instructions. Patterns for clothes and accessories have been in the magazine since. The Piggles are now trademarked, and there are plans for a series of ebooks. The first one, THE PIGGLES' WINTER TREAT, is available on the iBookstore.